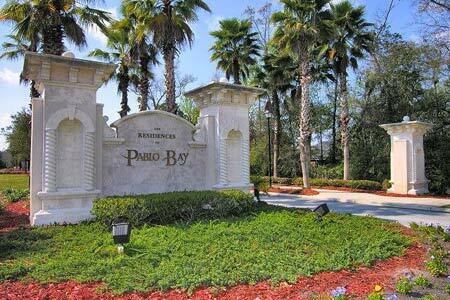 Pablo Bay community in Jacksonville, Florida. Pablo Bay is a terrific community with 450 single-family homes. Conveniently located on San Pablo Parkway just southwest of Beach Boulevard, Pablo Bay is west of the Intracoastal Waterway about one mile from Mayo Clinic and two miles from Jacksonville Beach. Remarkably affordable, this community offers its residents a community pool and playground, soccer field, lighted tennis court, several shimmering lakes, a grand entrance, five-acre park and walking trail.